With 75% of the Earths surface covered with water it's no surprise that there is such a huge diversity of creatures that live - and have lived in the seas and oceans. Sharks are such an effective killing machine that you would expect them to have flourished for a long period of time - and you would be right! On this page I offer a good selection of teeth from a wide variety of sharks. 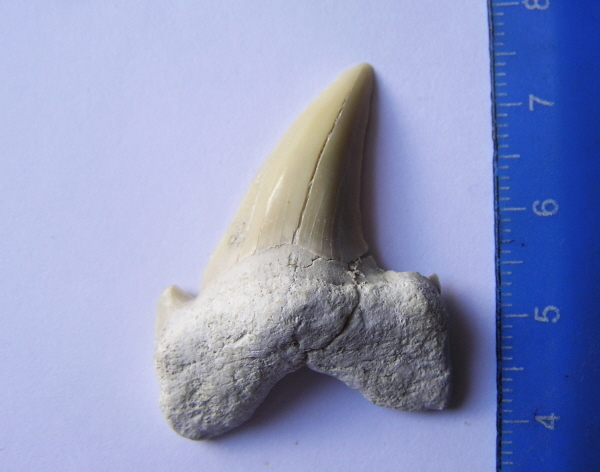 Some are still swimming today - and some, like the incredible Megalodon have died out. Have a browse through these teeth and we're sure you will find something to improve your fossil collection or that would make a super gift. Children especially love sharks, and I sell many teeth to young shark fiends! The Crow shark is a rare and extinct species of shark, and - in common with most ancient shark species, very little is known about the shark itself. As sharks don't have bones, just cartilage and ligament, nothing has survived apart from the teeth. 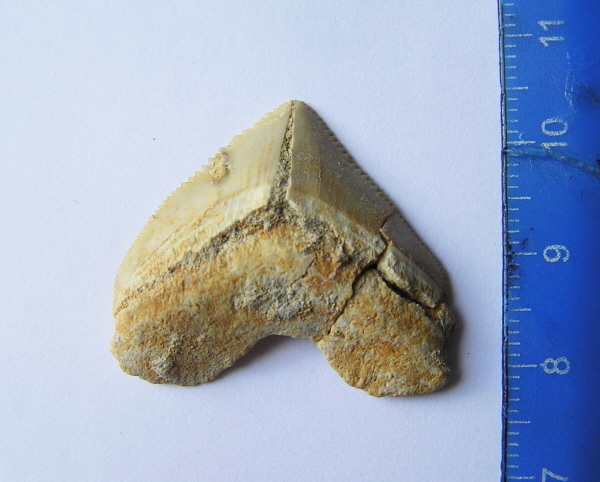 This is an unusual shaped tooth and is flatter and stubbier than most shark teeth. 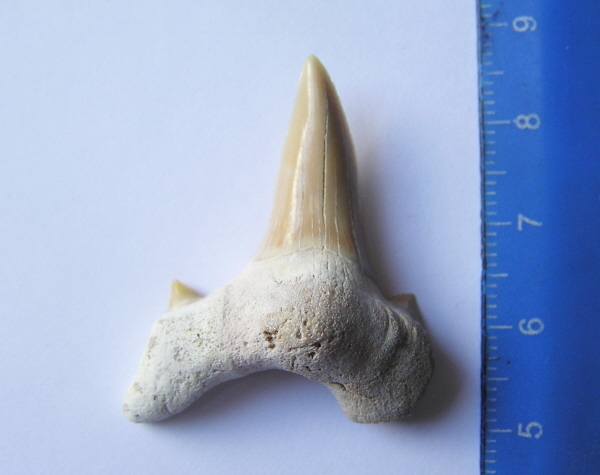 These teeth are not often seen for sale and if you collect shark teeth you should add one to your collection. This is your chance! comes boxed and labelled and is ready to give as a gift! - or why not just keep it yourself ! !